We all want to look our best all the time. If you work in an office it’s sometimes harder because of the florescent lights, air conditioning, and less than flattering color schemes. It’s easy to get stuck in a cycle of wearing different iterations of the same outfit every day, especially when you’ve been working in the same office for a year or two. Just like an unconventional approach to a project is often the best one, re-imagining your look can help you harness confidence and personality in a business environment. Here are some ideas to break your work style rut. We tend to leave our tried and true pieces, the ones we wear most, in the front of our closets. That means when we get dressed in the morning, we may only have a fraction of our closet in view. Move stuff around and put pieces you like but don’t wear frequently in your line of sight. It will encourage you to try something different from your typical uniform. For many people, especially those who work in “business formal” or “business casual” offices, there’s no impetus to replace work clothes unless you gain or lose upwards of 10 pounds. But if you’re a woman hanging onto blouses with shoulder pads, a man insisting upon pleated trousers or someone a couple years out of college wearing hues that haven’t been in stores for a few years, donate those things to charity or stow them away if they’re high quality. If you’re always in a pencil skirt, try an A-line or a silk skirt with pleats. If you wear blazers every day, try a boxy style with three-quarter sleeves or even short sleeves. Just because something isn’t in the “wear to work” section of a store doesn’t mean you can’t wear it to work. Most offices are color-friendly these days. Since color is so important in the fashion landscape right now, it’s a great way to jazz up your work outfits. For fall, look for jewel tones and muted versions of tangerine, chartreuse and fuchsia. Even if your office environment favors neutral colors, you’ve got more options than just black, navy and khaki. Titanium gray, coffee brown and muted rose are three to look out for. 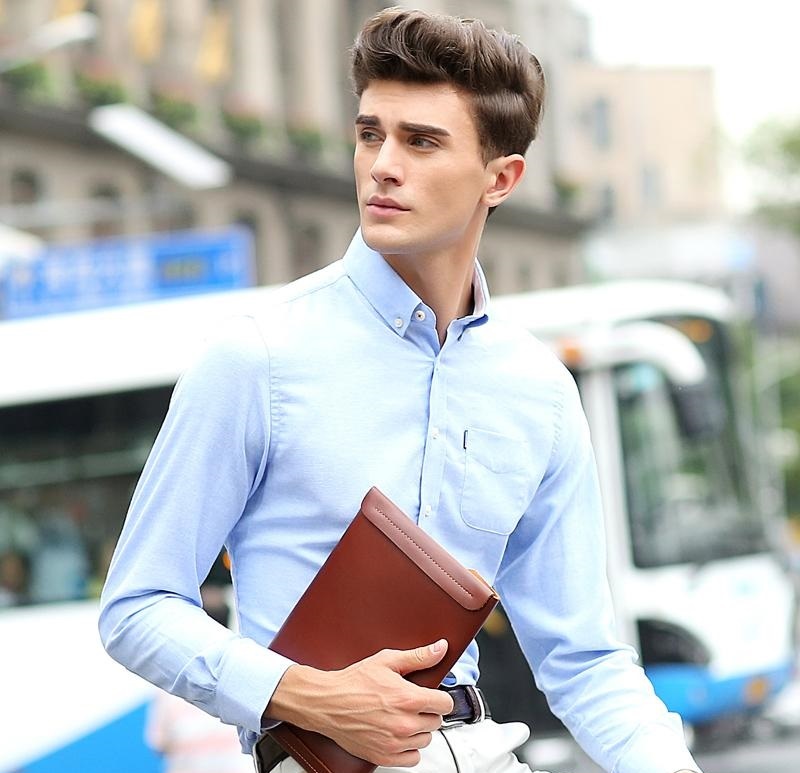 Guys can wear color in their dress shirts, chinos, and blazers in a more casual workplace. Add a statement necklace, colorful belt or bag (or tie for the guys) or even a printed scarf. Sometimes, a friend hands you something to try on that you would never have picked out for yourself. And sometimes it works. There could be 10 different outfit combinations in your existing closet that you haven’t tried. Just be innovative. You might be surprised with the results. This way, you won’t run out of time in the morning and end up wearing the same old thing out of desperation.